Marina di Camerota has always been a lively Italian fishing village. When we stopped there in 1999, we were fascinated at once: Some first tender contacts, followed by the first holiday homes and holiday apartments in our offer, which then started off the 'journey' of „Cilentano“. 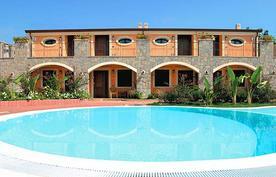 Those who spend a holiday at one of our holiday homes or apartments at Marina di Camerota today, meet with an Italy of times long gone. The bars are still the meeting point of half of the village population, at the "panificio’s" people chat about anything and everything and exchange the latest news. In the evenings, they stroll along the well-tended promenade of the harbor or sit together playing a lively game of cards. Like a pointed arrow the center of Marina di Camerota juts out into the sea. To both sides of the town there are charming sandy beach bays, e.g. Calanca beach. For this reason Marina di Camerota it is very popular with bathing vacationers, above all during the Italian holiday months of July and August. 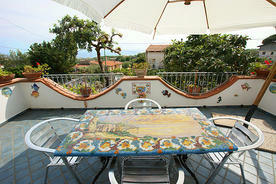 Almost all year long, life 'takes place' at the harbor or in nearby piazza Domenico. The square is dominated by the sunny yellow church of the same name; there are days on which you can watch the hustle and bustle in its shade for hours. A short walk through narrow Old Town alleys takes you to the „porto turistico“. At the mole, colorful fishing boats rock to and fro next to modern, white motor boats – a picturesque setting. Those who get up early can go and buy fresh-caught fish from the local „pescatori“ there, too. On the green slopes above the town center you find more peace and quiet. 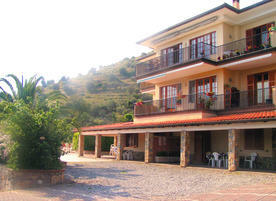 In the course of the last century, numerous chic villas with ample premises and wide coastal panoramas were built in the districts of Monte di Luna and Previteri. 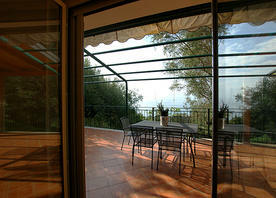 Nowadays, they are popular holiday accommodations, above all with foreign vacationers. It is this special mixture of maritime tradition, beach, nature and sea for which Marina di Camerota doubtlessly counts among the most beautiful coastal towns in Southern Italy’s Cilento. The advantages of the fishing village are much appreciated by a large number of Italians from Rome, Naples or Salerno, who often call a holiday home or holiday apartment there their own. Camerota, proudly resting on a rocky plateau, invites you to stroll through the winding alleys of its medieval “centro storico”. Every now and then, you catch a glimpse of the sparkling sea; the sun adds a warm light to the terracotta colored facades. 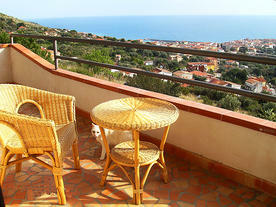 From up where the castle is located, you have got a beautiful view of Monte Bulgheria. In spite of its location near the seaside, time seems to pass more slowly there. Potters carry on their centuries-old handicraft using old methods. At the picturesque weekly market, farmers from the surrounding areas offer fresh fruit and vegetables for sale. 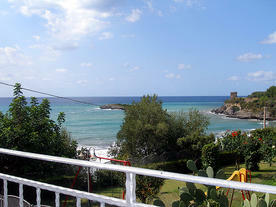 Marina di Camerota borders on a core zone of the Cilento National Park. The area around the maritime wildlife park of Porto degli Infreschi with its over 25 km of steep coast and its solitary bathing bays, for example Baia degli Infreschi, Cala Bianca or Marcellino, offers a unique experience of nature. As the bays are accessible only on foot or by boat idyllic coastal trails have formed in the course of time. 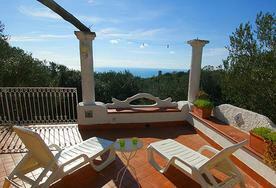 These are easy to reach, especially from the holiday homes and holiday apartments on Monte di Luna. Excursions to the grottos of the maritime wildlife park, for example famous Grotta Azzurra, depart from Marina di Camerota. At the harbor, fishermen are waiting to take you out to sea in their boats. 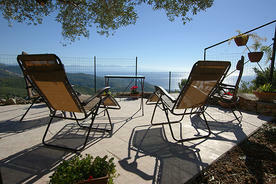 Around Marina di Camerota hikers have numerous possibilities to discover the most beautiful face of the Cilento. The high-altitude hiking trail from Camerota to Marina di Camerota with its fantastic views of the coast, hiking tours to Porto degli Infreschi as well as in wild and romantic Vallone del Marcellino surely meet your expectations. Sporting activities: swimming, hiking, (sport) cycling, diving, riding, tennis, mountain biking. From the mid 19th century on, many inhabitants of Camerota and Marina di Camerota emigrated to Venezuela to escape poverty in Southern Italy and to try their luck in South America – and most were lucky. From the 1980ies on, one by one the emigrants returned to their Italian homeland. However, their close relation with Venezuela is still evident today. Street names, e.g. the main street Via Bolivar, and the annual festival Chévere keep alive the memory of the past. If you look more closely, you may find one or the other Venezuelan product in the small „alimentari“ at Marina di Camerota, in the alleys you might hear some Spanish syllables – a touch of South American exotic in Europe. 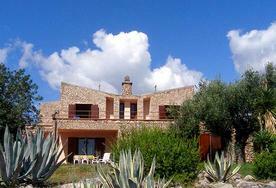 Besides: Quite a number of our holiday home owners from Marina di Camerota were born and raised in Venezuela. Who knows, you might get to talking. 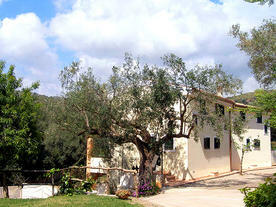 Nearest train station: Centola or Pisciotta-Palinuro. Public transport: Interurban busses of the Infante-Domenico & Co company take you from Marina di Camerota to the towns of Palinuro, Camerota and Pisciotta. max. 3 resp. 5 Pers.